Wild fennel (Foeniculum vulgare) is now very common especially on roadside verges and in hedgerows. It has a very distinctive smell similar to licorice (anise) with the leaves looking like dill and feathery in nature. 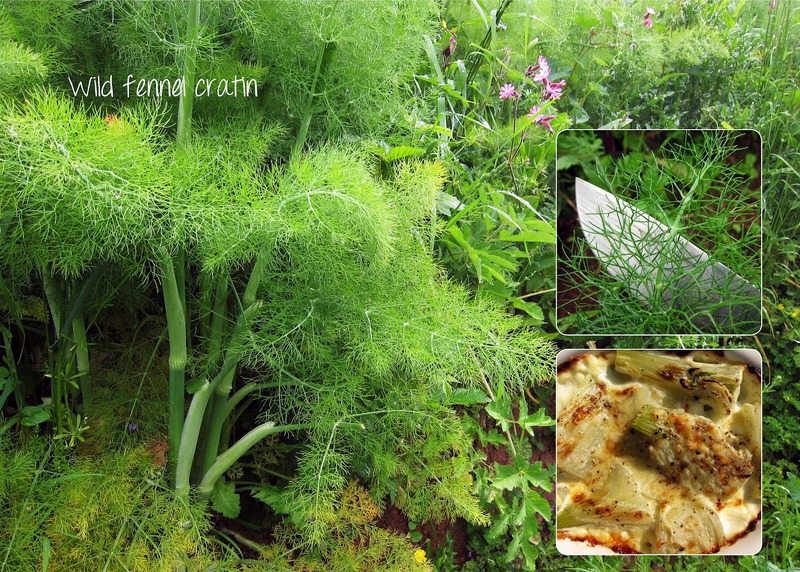 Traditionally fennel is used with fish dishes (goes particularly well with oily fish like salmon and mackerel) but it can also be used as a flavouring in breads, cakes and in salads. While you can use the leaves and seeds of wild fennel, one of the main differences between wild fennel and supermarket bought fennel is that you will not find a large bulb but more likely a long fibrous root at the base of the plant. The root is not really used in cooking as it is quite bitter instead use the young stalks between the root and the leaves. Fennel stalks are best cooked before the plant goes to seed as they will be quite tough after this. Heat oven to 200C and put a pan of salted water on to boil and add the fennel stalks and cook for 5 minutes. Arrange in an ovenproof dish, season and sprinkle with nutmeg and some chopped garlic. Pour over 200 ml of double cream and top with parmesan cheese. Cook for 20-25 minutes in the over. Serve with salmon fillets or grilled mackerel.